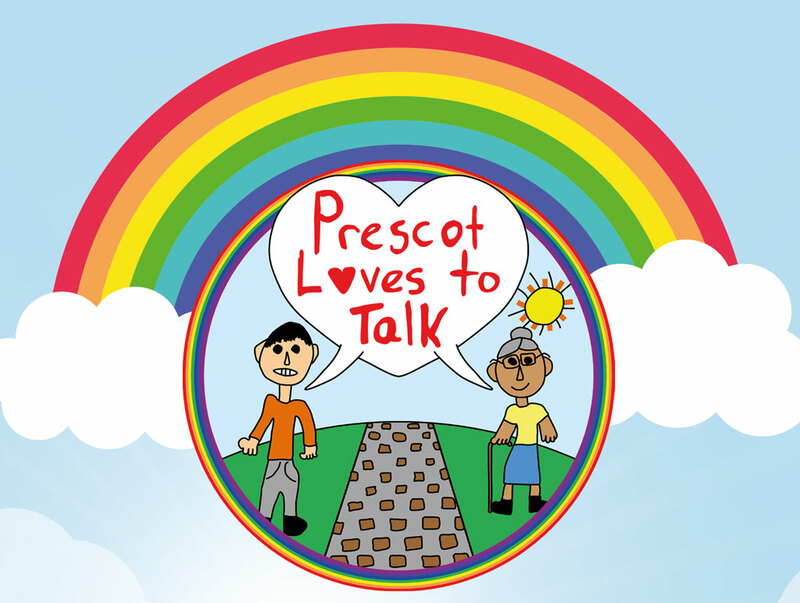 A new campaign has been launched to get everyone in Prescot talking to each other. No matter how old you are, where you are or what you are doing, the aim is to make Prescot the place where talk is everywhere and where everyone talks. 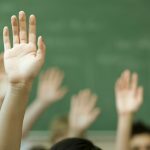 The concept was the idea of Evelyn Primary School who got chatting about it to ICAN, the children’s communication charity, and Knowsley Council. 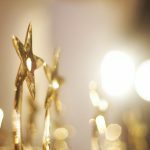 It is simply a way of encouraging chat and communication between everyone at every opportunity. 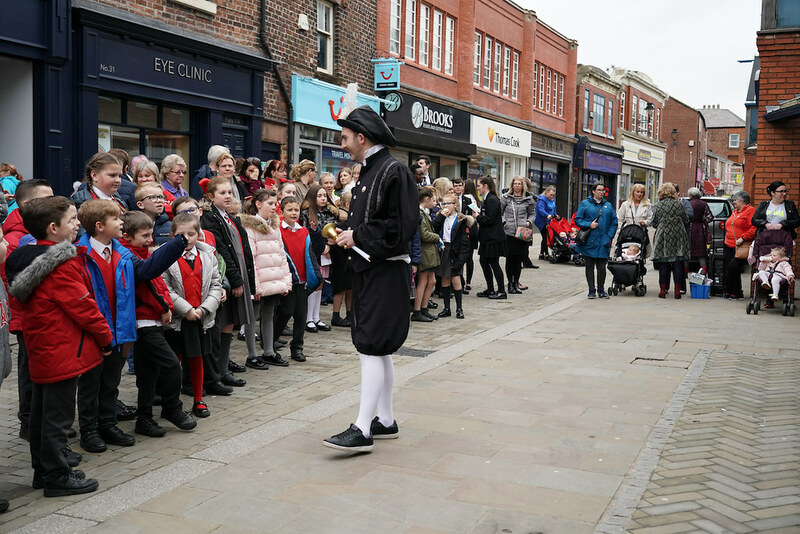 On World Poetry Day (21 March 2019), children from Eveyln, St Mary’s and St Pauls, Our Lady’s and Prescot primary schools took part in a celebration in Prescot town centre to create awareness of Prescot Loves to Talk. 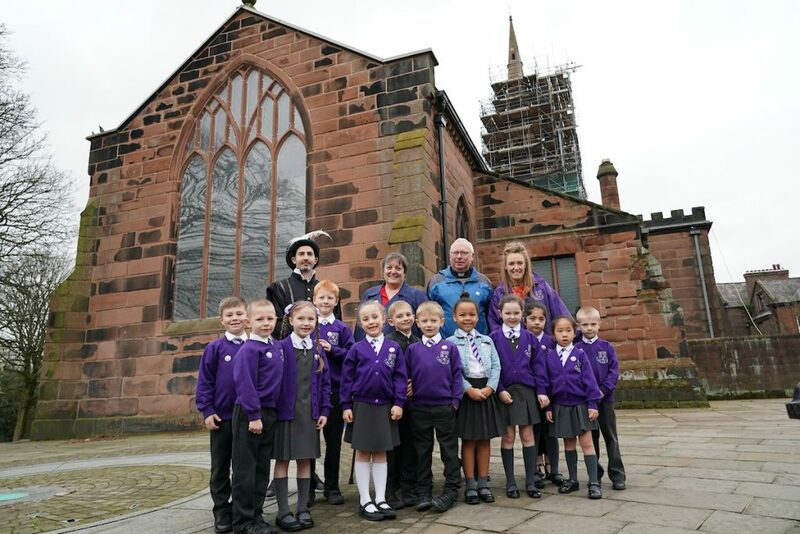 This included performances of poetry, dance and singing from the children outside Prescot church and along Eccleston Street. The children also visited shops and restaurants in the town to spread the word and award stickers to supporters to display in their shops windows. 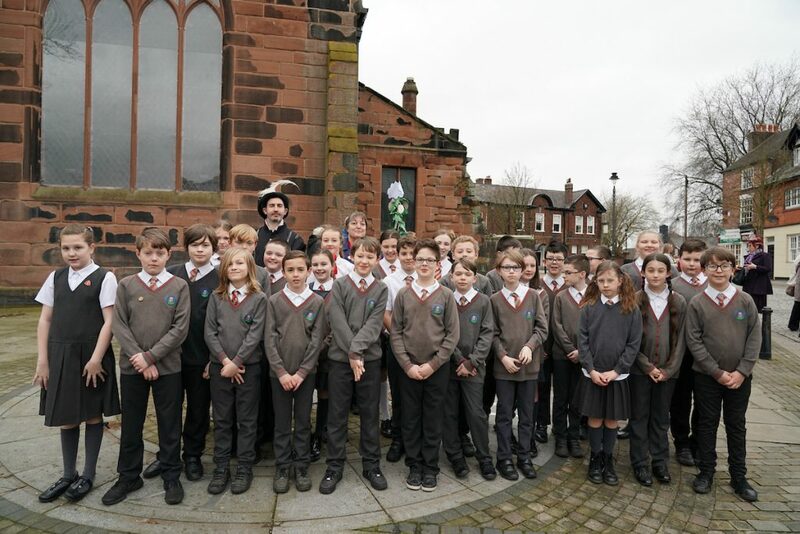 The children also visited Prescot Library where renowned poet Curtis Watt shared light-hearted riddle poems, focusing on the celebrating the use of words. Children from Evelyn Primary School with Cllr Margaret Harvey, Knowsley’s Cabinet Member for Children’s Services. Children with poor vocabulary skills are twice as likely to be unemployed when they reach adulthood.